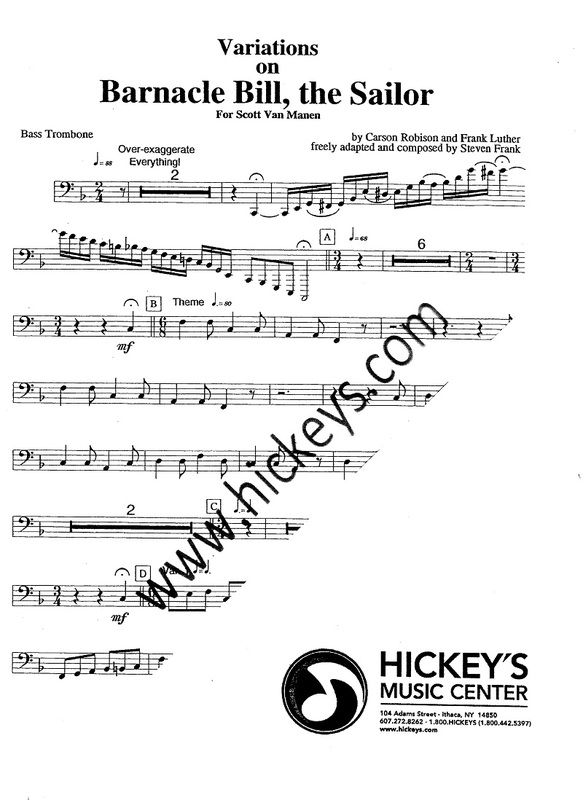 TubeNet View topic - What Solo Are YOU Working On? 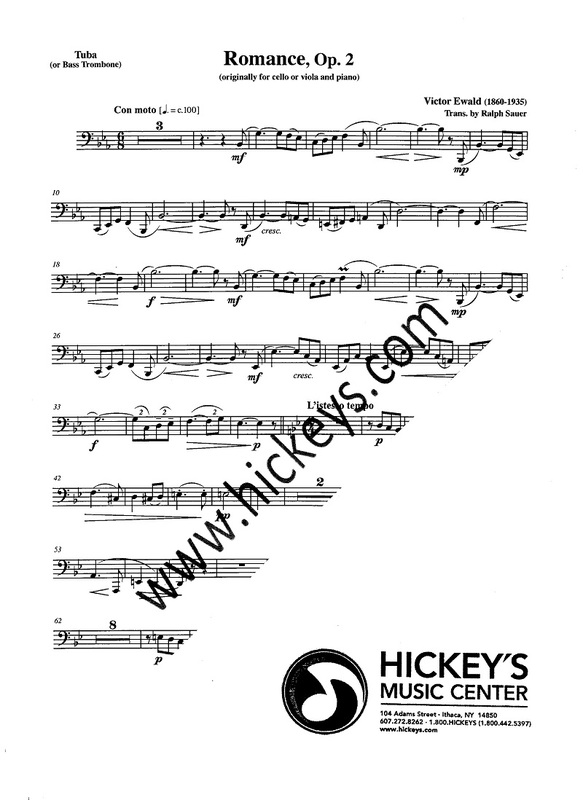 Variations on Barnacle Bill the Sailor (Hafner) [solo bass tbn or tuba feature] 20th Century (1929, arranged 1995). Finally the bass trombonist (or tubist) has an "Arthur Pryor-style" showpiece.... Barnacle Bill The Sailor Variations by Frank, S for Bass Trombone Solos, sheet music and musical accessories. See sample scores and preview audio. Talk to a Pender’s sheet music specialist today! o Variations on Barnacle Bill the Sailor - Frank (bass trombone): March 2013 o Thoughts of Love - Prior: Jan. 2012 • Featured Soloist with UCF Trumpet Teacher John Almeida and UCF Symphonic Band,... • Bass Lines (Fetter) • Variations on Palestrina’s Dona Nobis Pacem (Fetter) • Concerto (Gregson) Dr. Martin G. McCain, Jr. Texas State University Junior Cont. Steve’s composition “Variations on Barnacle Bill, the Sailor” has been performed and recorded by trombonists around the world, including Charlie Vernon, bass trombonist of the Chicago Symphony. Send a message to Steve Frank... Polkas! Full arrangements scored for 1 or 2 clarinets, 2 trumpets, alto sax and/or tenor sax, and trombone with piano, bass and drums. Vocal arrangements have lyrics in English. 1/04/2010 · Variations on Barnacle Bill, the Sailor - Michael Wilkinson, Bass Trombone & Miriam Hickman, Piano. Performed at Arizona State University, Convocation I, 2/11/2009, Katzin Concert Hall.